Many organizations poll their employees annually to determine how engaged they are—and unfortunately, for some organizations, that is where it stops. They get the information, throw a few focus groups together, empathize with the employees, apply a few “band aid” solutions, and hope it will be better next year. Of course, this magical thinking approach fails dismally. In fact, engagement surveys without visible follow-up actions may actually decrease engagement levels, suggesting that organizations think twice before flipping the switch on measurement without 100% commitment for action planning based on results. 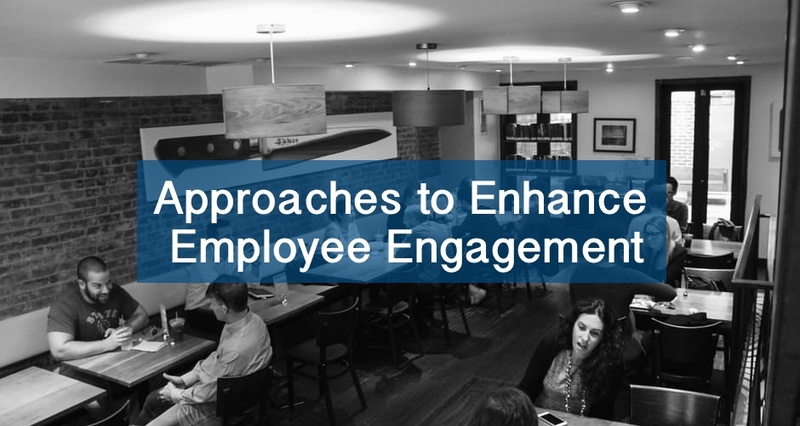 Why is the focus on engagement such a critical element for organizations today? The war on talent is intensifying throughout the world, especially in the highly technical fields, and there is no end in sight as scarcity of these types increase making it difficult for organizations to meet customer demands. Millennials are skipping around from job to job—typically less than 3 years in one place. In addition, many are eschewing corporate life altogether to become entrepreneurs and write their own ticket so to speak. The final factor is that with social media and Glassdoor reviews, organizations realize that their brand is more than a statement of vision, mission, and values but as Jeff Bezos, founder of Amazon, once said, “Your brand is what people say about you when you’re not in the room”. While being a great place to work is certainly a nice thing, organizations need to work at the individual and team levels to foster engaged employees. For example, approaches such as job enrichment, training and coaching supervisors/managers to define individual and team expectations, provide effective and regular feedback by acting as a coach vs. a drill sergeant, can result in marked employee engagement. Employees want to be inspired and passionate about their work. Leaders who model the way by living the company values, inspire others with a clear sense of purpose, and are held accountable for engagement are a markedly significant element of the engagement equation. Regularly conduct “stay interviews” to get a pulse on why employees are staying with your organization—what do they like about the organization, the work they do, the team, and their supervisors. This information will tell you more than the data from an employee exit interview, as departing employees are reluctant to burn bridges and say what they really mean. Move away from the once a year transactional emphasis on engagement and make monitoring employee engagement an everyday activity—ear to the ground and asking questions related to engagement and always listening for clues to how employees really feel. Implementing these practical approaches will help to create the conditions for your employees to emotionally commit to the organization and attaining its goals.